Your skin is your body’s biggest organ. It’s exposed to a lot of things from pollutants to harmful chemicals to anything that it comes into contact with. Having a good and healthy skin is important since it’s the part of you that the people often see. A healthy skin enhances your overall packaging and makes you look fresh and clean. Besides, a healthy, flawless skin resembles a healthy body from the inside out. Even if you have good hygiene habits, skin problems inevitably arise, which make your skin look unhealthy and unclean. Whenever you have these problems, never ignore them. Failing to give them immediate attention will not only make the matter worse, but will also hamper the way people look at you. 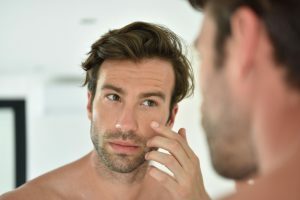 The following are the common skin problems that men encounter often. Check them out so that when you happen to get them, you already know how to deal with them in the most effective way. 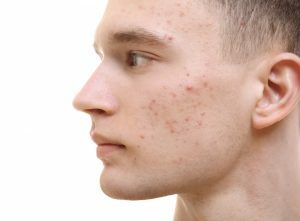 When you’re at puberty age, acne is not a cause of concern because you know full well that it’s a result of your frantic hormones. But when you have gone past this age and your acne still lingers on, it’s already a red flag. Over-the-counter skin wash. If it’s only a case of an irritated skin, self-treatment may work out fine. Try benzoyl-peroxide skin wash. Proper diet. Acne is also linked to diet. Sugary food consumption is said to spike up your insulin levels, which in turn increases sebum production. If your skin is prone to acne, consume foods that have low glycemic indexes such as vegetables, fruits, and legumes. Use aloe vera. If you’re the guy who loves organic, try moisturizing your skin with aloe vera. Aloe vera contains salicylic acid and sulfur, which are good acne treatment. Sebum is vital to your skin’s health as it protects and hydrates your skin. But too much of it is not good. When your skin gets too much sebum, it becomes oily. When oily skin is left untreated, it may result in acne or other skin blemishes. Regular washing. Wash your face regularly with warm water. Use a gentle and fragrance-free soap. Use witch hazel toners. Natural astringent like witch hazel has soothing and anti-inflammatory properties. When using this for the first time, try applying a small amount on a small area to test if it doesn’t irritate your skin. Witch hazel works great for some people. But results vary depending on your skin type. Testing first is the safest way to use a product for the first time. Let go of stress. Stress is often a culprit to having an oily skin. While stress is inevitable in your daily routine, you can combat it by doing activities that reduce the onset of stress. Taking 10 to 30-minute breaks from any stressful activity helps a lot, especially when you walk outside and inhale fresh air. If you’re active in the gym, you are at risk of getting an athlete’s foot, which is common in communal showers and locker rooms. Athlete’s foot is a fungal infection that affects the skin between your toes. You’re likely to have it if you have a sweaty foot and wear tight-fitting shoes. Athlete’s foot is characterized by a scaly red rash and itchiness on the affected parts. Anti-fungal creams and powders. Some treatments that you can buy from your local drugstore include Lotrimin AF and Lamisil AT. Choose the one that suits you best. Wash your feet twice a day. Washing and drying your feet two times a day will improve your feet’s condition, especially when you expose it to air. If conditions permit, wear sandals to keep your feet dry for a longer time. See a doctor. If you are diabetic or if the rash doesn’t disappear after self-treatment, see your doctor. It’s better to see a specialist when all else doesn’t work. Wrinkles are part of the aging process. They come naturally when the skin gets thinner, drier, and less elastic. If you’re a man who loves doing activities under the sun, you’re sure to get wrinkles even at a younger age. Facial expressions such as smiling, frowning or squinting can also lead to creating fine lines on your face. Lines that occur naturally due to these factors are still good to look at. But there are lines that are premature and make you look unhealthy. These lines are usually the result of smoking and drinking. Bad habits like smoking and drinking not only dry your skin but speed up your aging process too. No other alternative can provide you with a better- and younger-looking skin than quit your smoking and drinking habits. Get enough sleep. It’s a no-brainer. Giving your body a good night’s sleep not only energizes you but keeps your skin healthy as well. Cover your body. A job that exposes you to the sunlight such as being a sailor, beach lifeguard, farmer, fisherman, or golfer increases your chances of getting a wrinkled skin much earlier than your peers. To prevent your skin from getting too much sun, cover yourself with long sleeves or wear a hat. Over-the-counter wrinkle creams. You can select from a wide array of anti-aging or wrinkle creams that are available in your local drugstore. Put on some facial creams or skin lotions that protect you from harmful UV rays exposure before you go out into the sun. Sunscreens that have SPF 50 works best. Putting on a moisturizer before going to bed helps your skin from getting dry. Dry skin increases the chances of having a wrinkled skin. 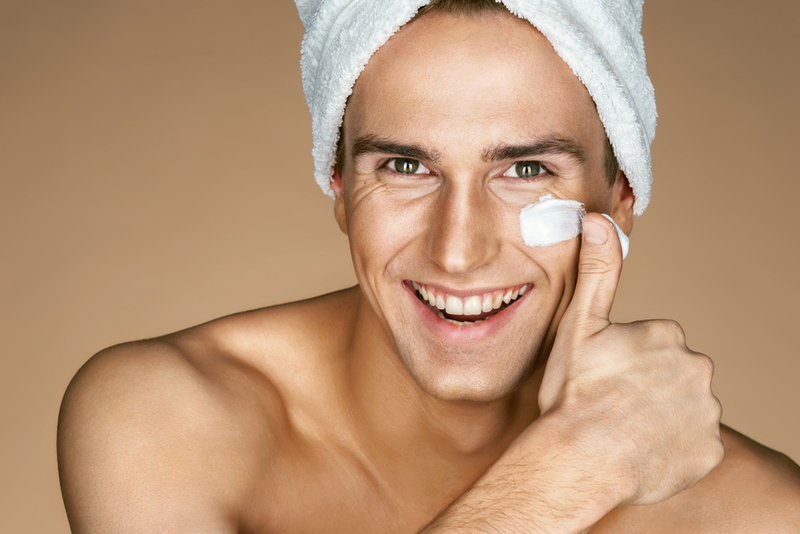 Even if you’re a man, skin-care should be at the top of your priority list. Put it alongside your diet and exercise or fitness regimen. First impressions do last. Facing people on a daily basis with a healthy skin boosts your confidence. When you’re confident, you will leave a lasting impression on people. Let people remember you as a man who’s healthy and clean from the inside out.